I hesitate to recommend any particular property management company because most people I have talked to are not satisfied with the company they use. So I will provide the names of a few I am familiar with, but with no particular recommendation on my part. One exception is a small company called Hawaii Sunset Real Estate: http://www.hawaiisunsetrealestate.com/ , (808) 896-8908. I have a client who is happy with the occupancy rate they have achieved and the service they provide. If you do not reside on the Island where your vacation rental is located, State law requires you to have on-island property management. Since Kona is a retirement destination of many (and has been for years), and also because there are many mainland investors buying property in hopes it will appreciate in value, property management has become a big business over here. I suggest you call a few and ask to see copies of their contract so you can compare them and look for hidden charges (maid service not included, additional advertising fees, etc.). Typical commissions range from 20% to 35%. www.konahawaii.com and Knutson & Associates, 1-(800) 800-6202, www.konahawaiirentals.com . If you get the client through your own efforts (the client called you on your own ad or website, the client sends the money directly to you, and you send the client directions to the condo and the combo for a lock box you have installed by the front door) then you just notify the company to block out those dates as “owner occupied” and they won’t charge you anything. You may have to be insistent about this option! 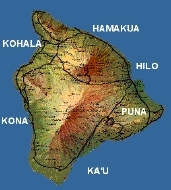 For more unbiased opinions, post a question on the Kona Web forum: http://www.konaweb.com/forums/big_island_forum.cgi This is a chat forum for people moving to, or living on, the Big Island. You can ask the forum members what company they would recommend. I am sure you will get some responses. You may have to sign up as a Forum member to post. But you will definitely want to be a member of this forum if you are planning to purchase property here or move here.